Hire the oven, provide your own hog or let us provide it for you. Take advantage of our age old recipe accompanyments. If you have any questions about our service or would like a free quotation, please do not hesitate to contact us. David is the most charming and professional hog roaster you are ever likely to meet. Punctual, efficient and personal. The hog was simply divine: our quests are still enthusing about it. The atmosphere was made even more special by the anticipation of tasting the pig which perfumed the area with delicious fumes of roasting yumminess. We will certainly be using David and his team again, sincere thanks for making the day unforgettable. Hi, we wanted to say a massive big thank you for the hog roast you provided us. your staff Colin and Steve were fantastic could not ask for more.Thank you again David, you should be proud of what you do. we will be back for more.All the guests said how beautiful the meat was. Service was outstanding .Thank you so much once again. I just wanted to say how much I appreciated you both yesterday for all the effort you put into making my party a complete success. Everyone said how good the food was, so I shall, given any opportunity recommend you to my friends who may need the same services. I’ve had the pleasure of working with Dave and his team for two years now. The service and professionalism of the staff at Country Kitchen Hog Roasts is brilliant and they are always on top of their game. The Hogs, Chickens and Lambs that we have purchased have always been of the best quality and taste. Each Roasted meat came with supporting sides and accompaniments which like the main protein, were absolutely delicious. I would highly recommend Country Kitchen Hog Roasts for any occasion, especially for those who are wanting to impress their guests with a luxury alternative to a regular buffet. I just wanted to say again a big thank you for the pig roast for our daughter’s wedding on Friday. We have had so many people say how much they enjoyed it and from our stand point it was great to be able to leave it all up to you and not have to worry about a thing. Fantastic food, brilliant service, just couldn’t fault it. 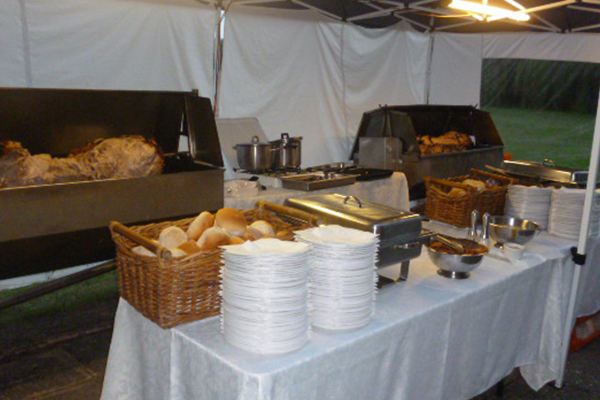 At Country Kitchen Hog Roasts we are proud to be recognised by our clients as the number one Hog Roast Catering Company. Our philosophy is simple, we provide a combination of the very best in spit roast meats, attention to detail, reliability and excellent customer service. 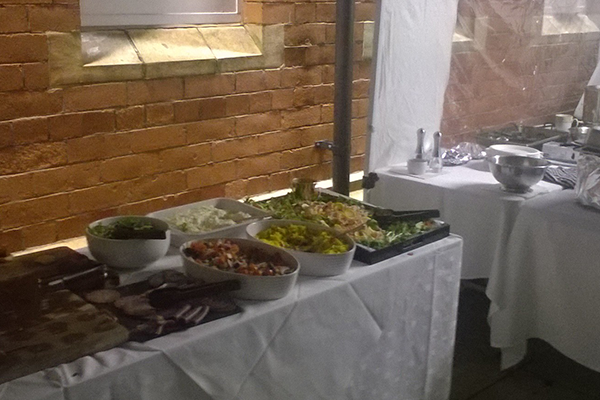 Planning for your party should be fun, so let us take away the stresses to ensure your event is one to remember. There is nothing more irresistible than the ambience and aroma that fresh roasting gives you, complemented by a totally friendly service that will leave your guests amazed at what you have given them. 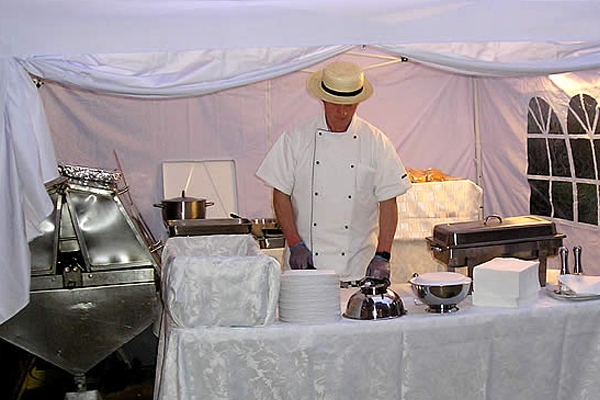 We pride ourselves on the total freshness of our food combined with the highest quality meats, which we cook fresh on site at your venue. Our Chef’s produce the most succulent, tender meat, which is accompanied by our irresistible crackling, served piping hot to your guests (Please note: We do not part cook the meat, unlike some of our competitors, who pre-cook, transport and then re-heat at the venue). To compliment your roast we can also provide a range of side dishes including deserts and barbeque. Spit roast lamb and beef are also a popular alternative to pork.